A photograph of the Kansas Photographers' Club. Members are seated at a dining table. 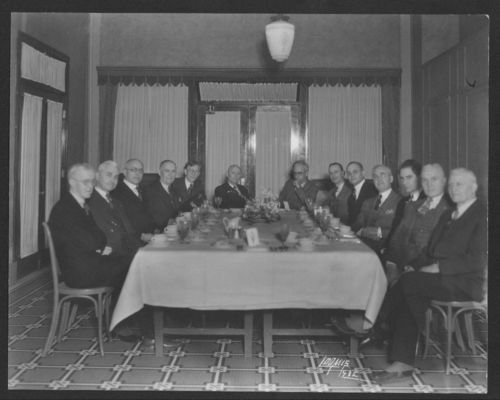 Brar Gustaf Grondal, who owned a photography studio in Lindsborg, Kansas, is seated on the far right and Fred A. Loomis, who owned a studio in Emporia, Kansas, is seated fifth from the left. The Club met annually with each photographer taking a turn hosting the event.